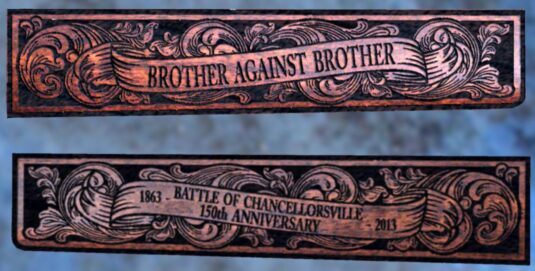 Battle of Chancellorsville 150th Anniversary - Wellington LTD.
ONLY 50 WILL EVER BE PRODUCED! Each is individually numbered and comes with a Certificate of Authenticity. Reservations are accepted in the order in which they are received. Place your order here or to find more information, please e-mail us or call (970) 215-0677. Ask about our hard-sided canvas presentation cases. 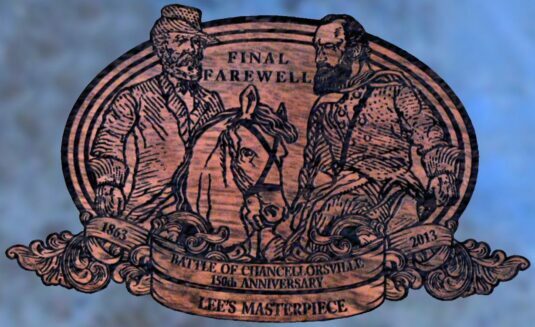 Considered Robert E. Lee’s greatest strategic masterpiece and one containing of the South’s greatest loss, the Battle of Chancellorsville is studied to this day by both tactians and historians alike. 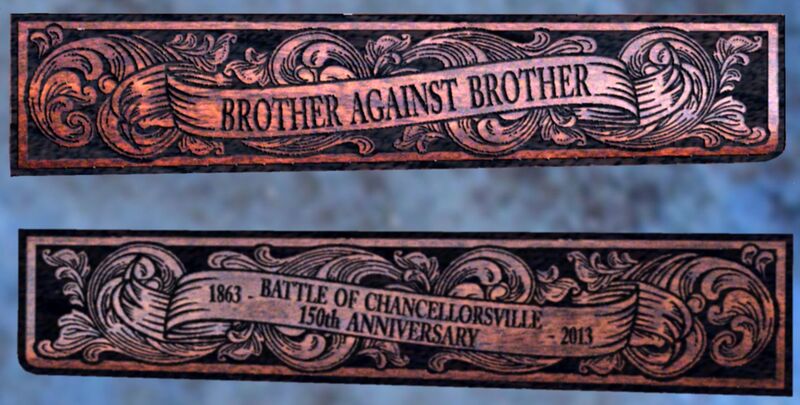 In honor of this great campaign, Wellington LTD, in collaboration with the Friends of WildernessBattlefield is proud to present our Battle of Chancellorsville 150th Anniversary Special Edition. Built on a Henry .45LC cal. carbine, the brass receiver and wood on this edition are richly engraved in jewelry grade nickel with scenes taken directly from this famous battle. Images pay tribute to, among others, Generals Robert E. Lee & Thomas “Stonewall” Jackson. Other images speak to the cost the nation paid during this terrible conflict.